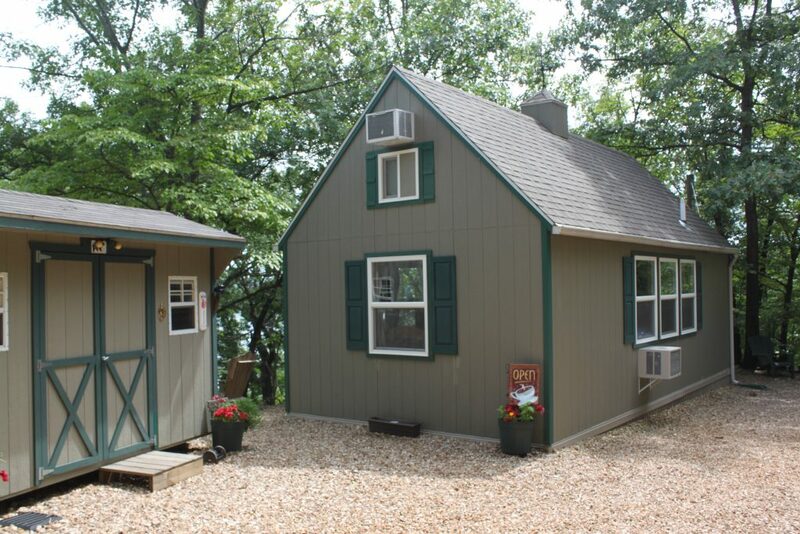 Our most popular cabin style. 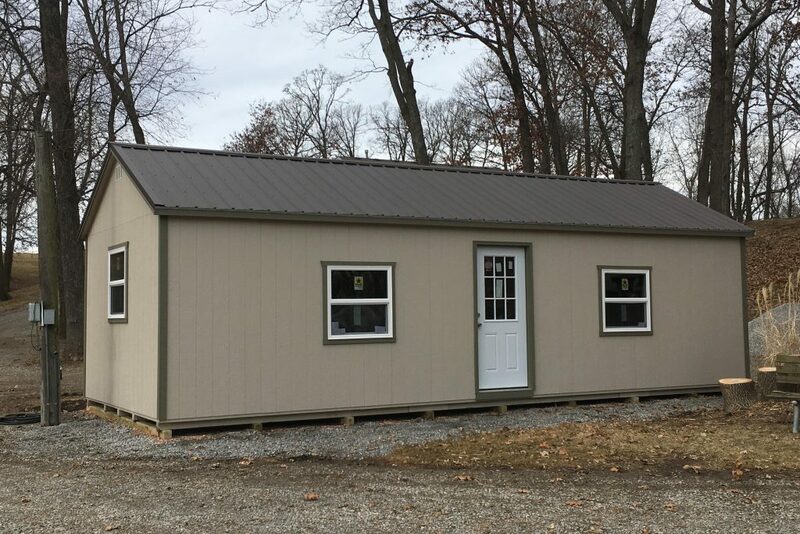 With sizes up to 16’x40′ Our New England Cabin can be used for your home office, guest house, business office, and so much more. 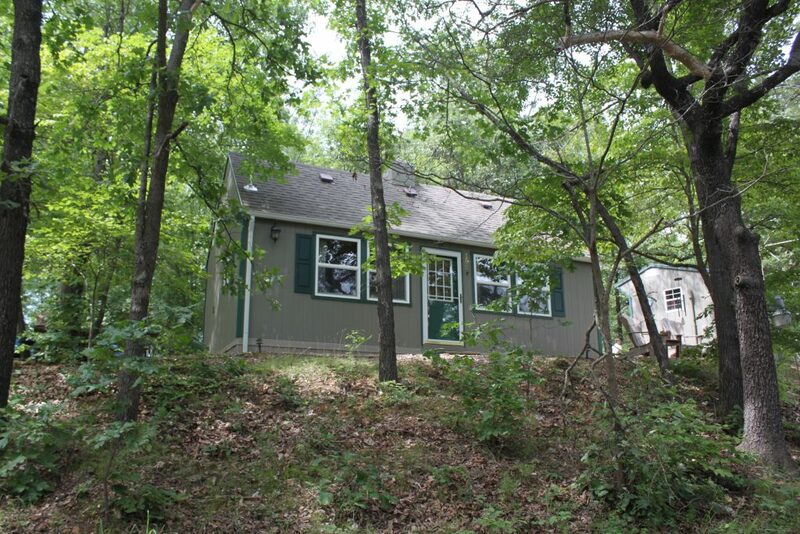 With the optional insulated windows, our cabins are ready for you to finish out. 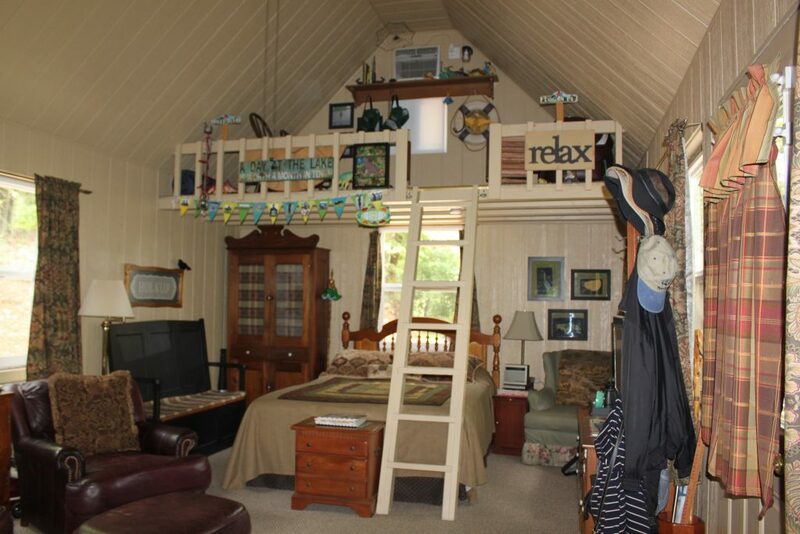 A true cabin design complete with expansive loft area. 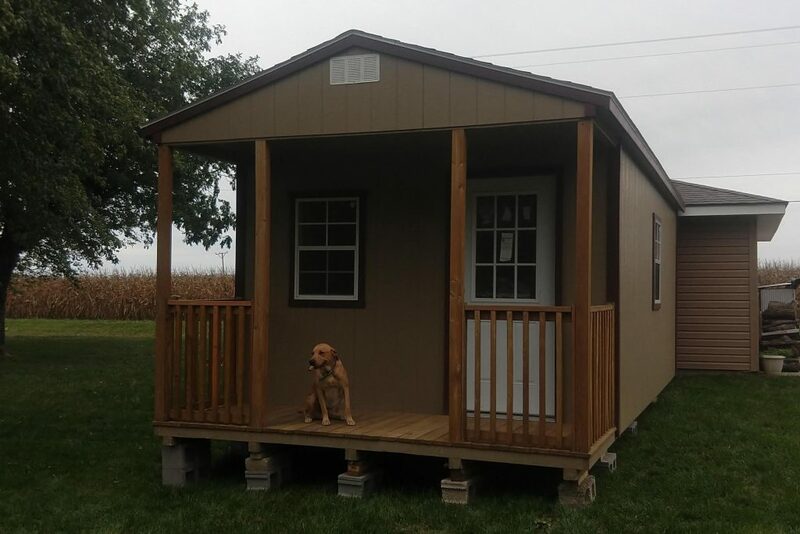 The perfect unit for your hunting cabin, or lake getaway. 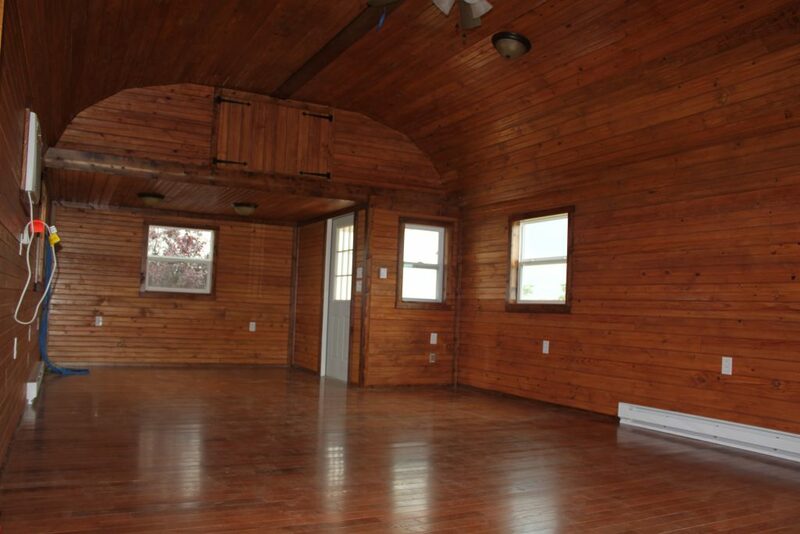 Very Similar to our Lofted Barn Cabin, just with a different porch layout. 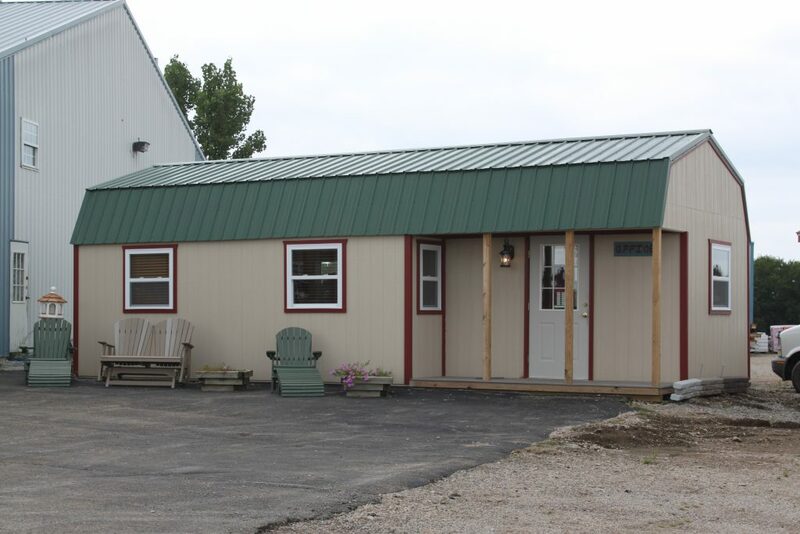 Come by and check out the 14×32 Side Lofted Barn Cabin we use as our office. Our basic cabin style. 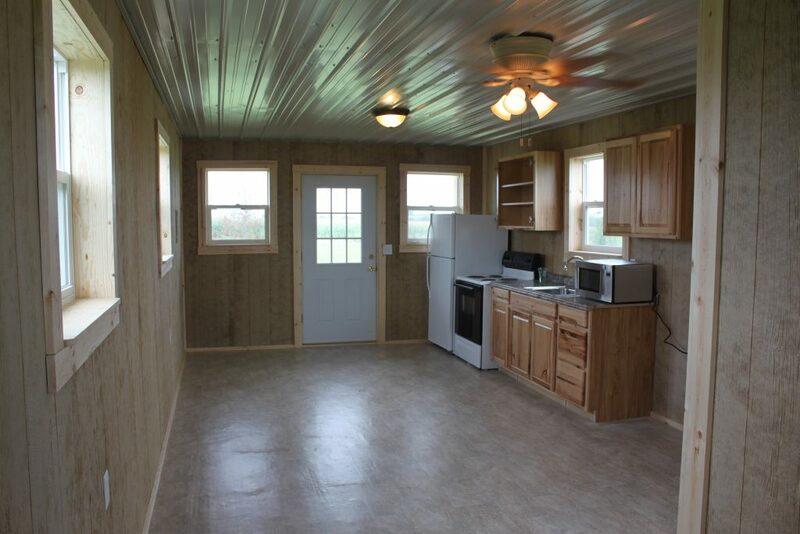 Complete with 4′ Front Porch. 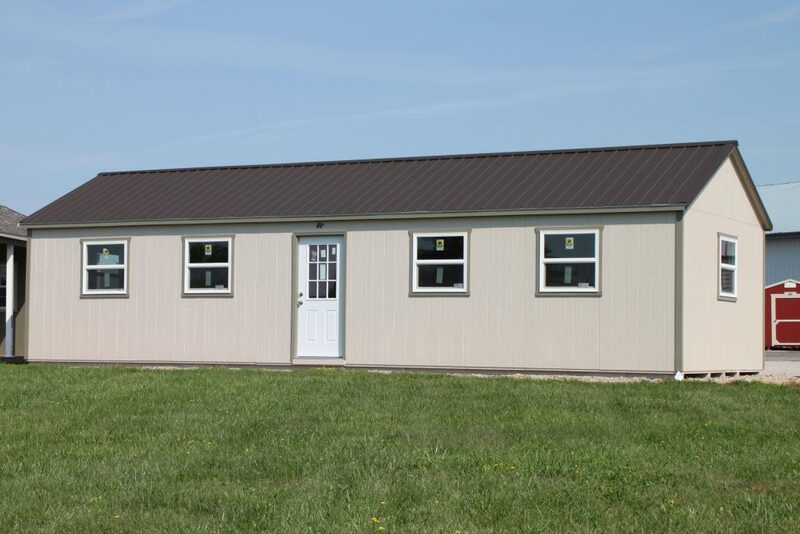 Black Bear Barns, LLC provides a full range of options to finish out your custom cabin/ tiny house. 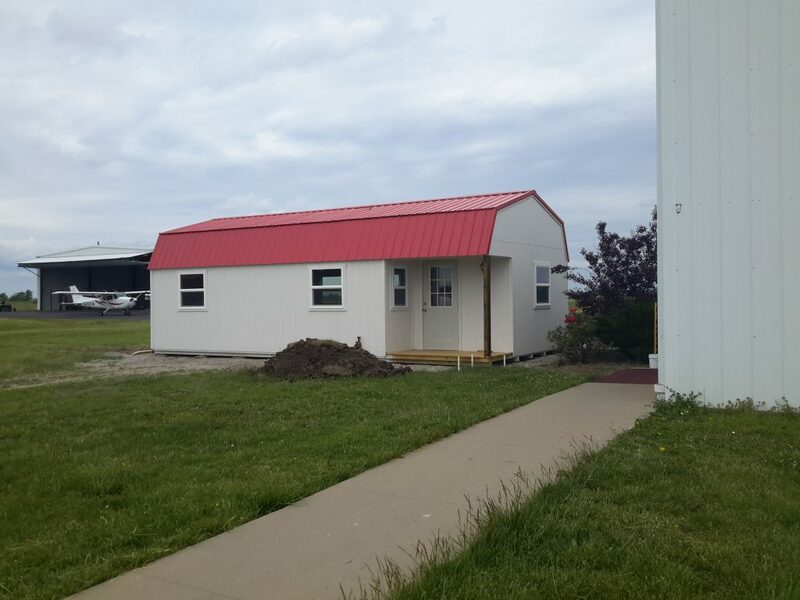 We have the capability of providing you with a turn-key, move-in ready tiny house; however, if you are the DIY type we’ve got the solution for you as well. With our extensive experience we can complete the tasks you don’t want to, and you use your skills to save yourself some money. 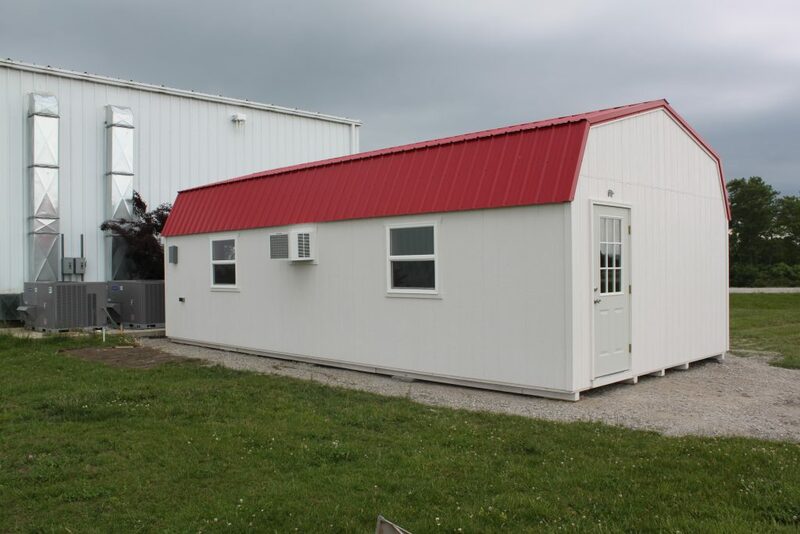 This 14’x32′ Metal Sided Workshop Cabin was custom designed for use as an apartment behind our client’s residence. 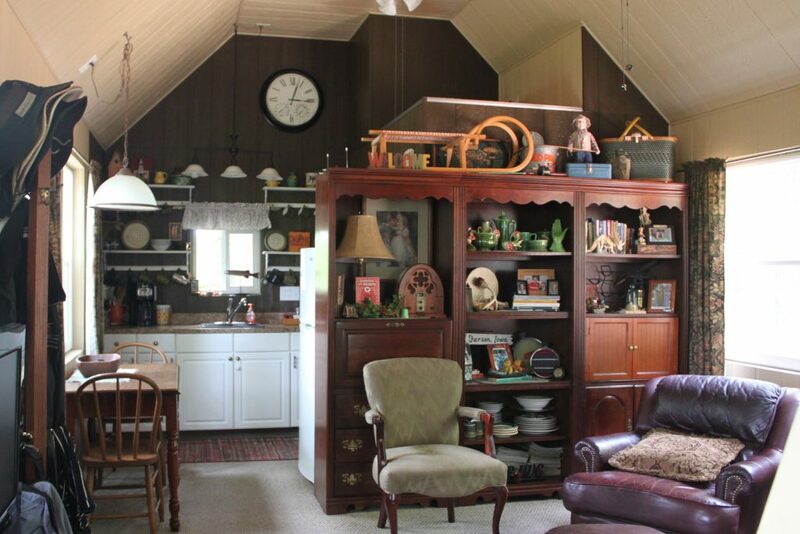 With an open floor-plan, small restroom, and kitchenette, it filled the need nicely. What are you looking for? 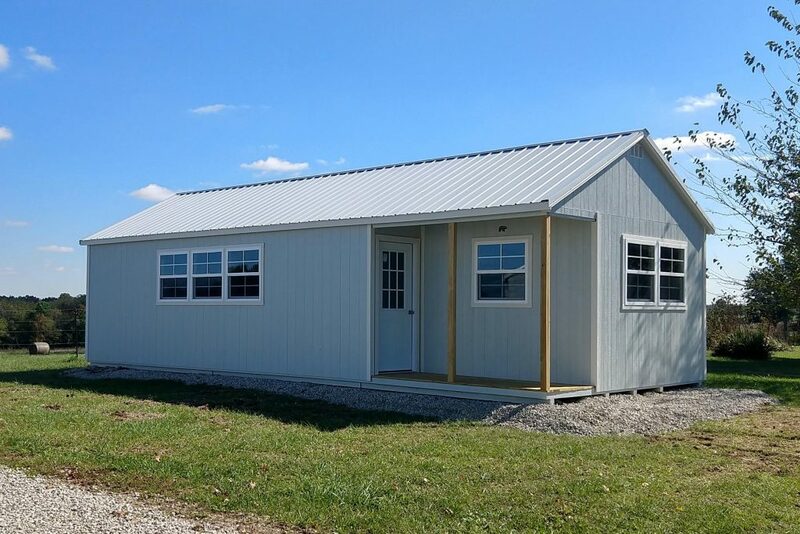 Give us a call today to get started on your perfect Tiny House! When the University of Central Missouri needed a new terminal for their Aviation Program, they knew where to turn. We were able to provide this 16’x32′ Side Lofted Barn as a complete package, working with budget requirements as well as a tight schedule. 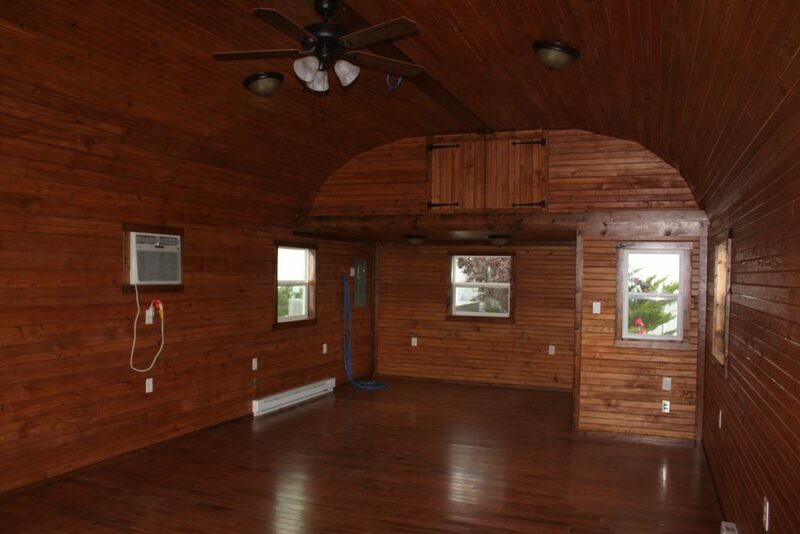 The interior is finished with T&G Pine Carr Siding and Beautiful Oak Hardwood Flooring. 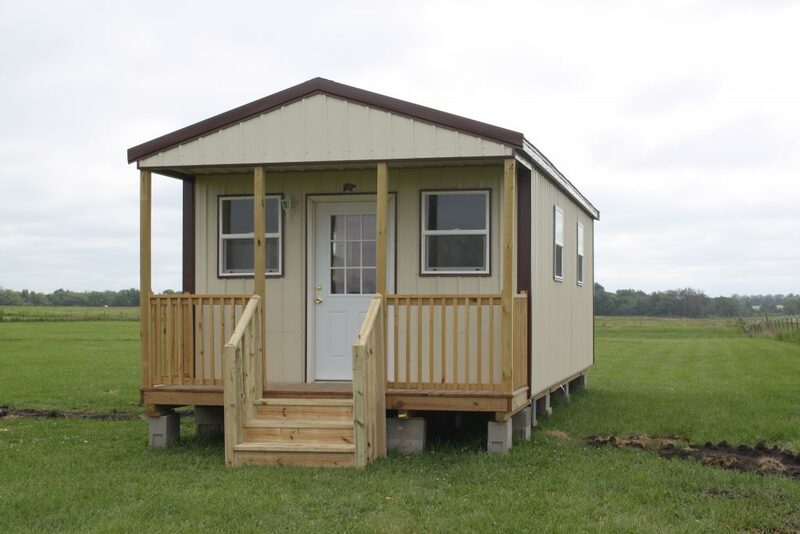 This totally custom 14’x28′ Cabin is a good example of our capabilities to build your cabin the way you want it. 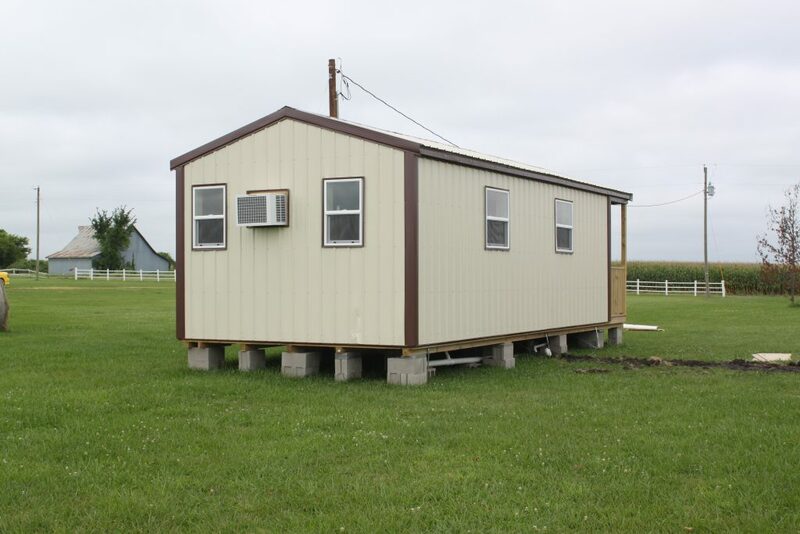 With a 12/12 pitch this cabin was delivered partially assembled and finished on site. Our client wanted a cabin for their lake property. Having purchased 4 buildings from us previously, the came to us for their vacation house as well. 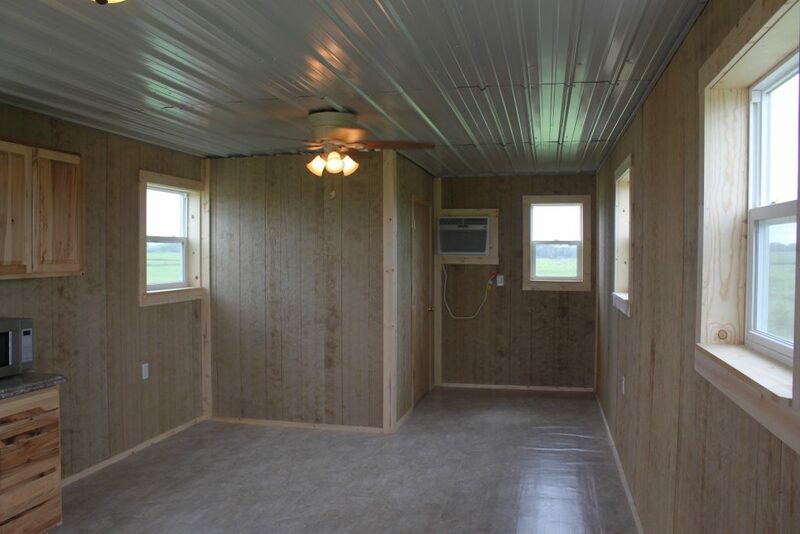 On this project we simply built the shell and our client did all the insulating, and interior work themselves. Dear Moses, Sons, Jesse, and Marlin. Thankyou so much for building our cabin!! We love it!! We now have most of the painting done and the curtains up! Guess we’re ready to put the furniture in!… Moses, you and your wife should be very proud of all your sons! They are polite, hard working, kind hearted & a pleasure to visit with. God Bless each of you… Thanks again! We appreciate each of you and wish you the best! May the Lord Bless and keep each of you safe. 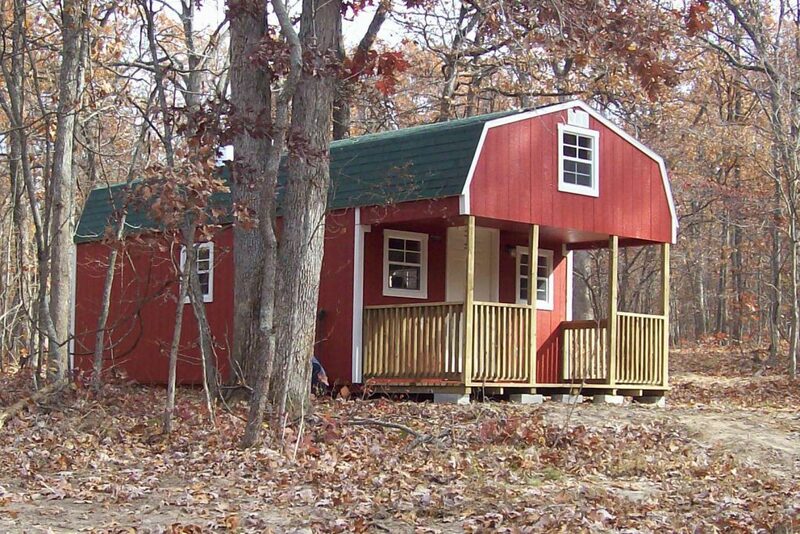 Black Bear Barns, LLC has the perfect solution for your cabin, tiny house, or vacation getaway. 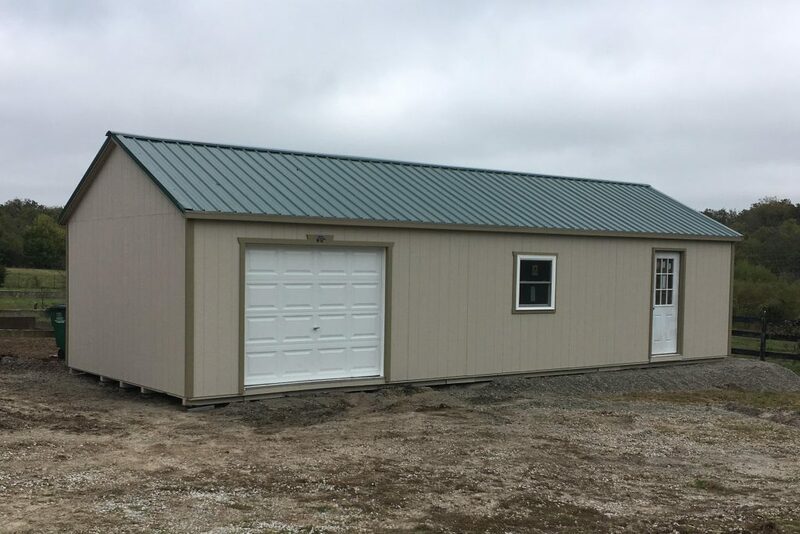 With sizes from 10×16 to 16×40 we can deliver your structure anywhere in the state of Missouri (free delivery for the first 50 miles, mileage charge applies after that). With complete insulation, wiring, and interior finish packages available, we’ve got what it takes to get your dreams rolling! Contact us today for your custom quote.